Cooler Student who would have worked for us: “Why don’t we make our own day to drink beer, green beer…and we’ll call it Green Beer Day! 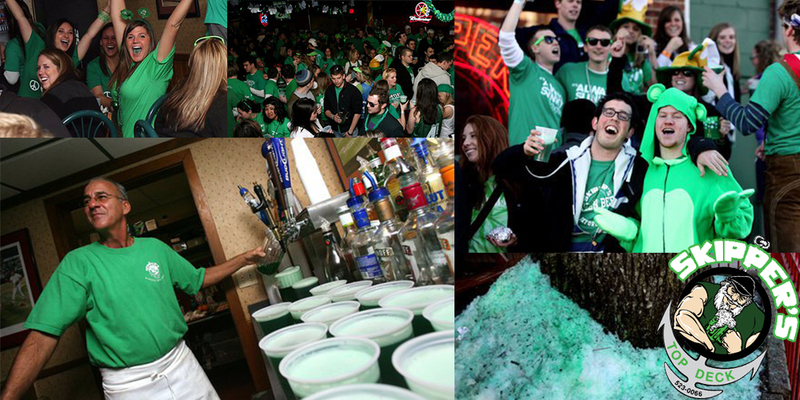 Ever since that day that we have hypothetically played out for you, The tradition continues with Miami students celebrating Green Beer Day the Thursday before Spring Break. Every. Damn. Year. Waking up before the sun, dawning their green tee-shirts, glasses, or otherwear, and Keg-and-Eggging it until they come here! And Skippers will be here. 5:30am waiting on you. Green Mouths Welcome.